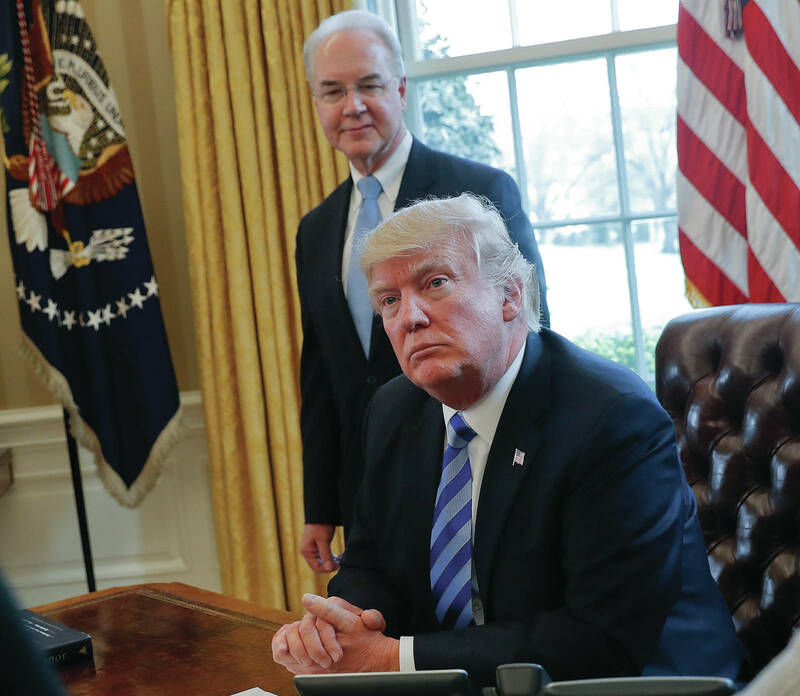 WASHINGTON (AP) — Uncertainty over the future of health care for millions grew deeper May 22 as insurers released a blueprint for stabilizing wobbly markets and the Trump administration left in limbo billions of dollars in federal payments. At the federal courthouse, the administration and House Republicans asked appeals judges for a 90-day extension in a case that involves federal payments to reduce deductibles and copayments for people with modest incomes who buy their own policies. The fate of $7 billion in “cost-sharing subsidies” remains under a cloud as insurers finalize their premium requests for next year. In requesting the extension, lawyers for the Trump administration and the House said the parties are continuing to work on measures, “including potential legislative action,” to resolve the issue. Requests for extensions are usually granted routinely. Hours before the filing, a major insurer group released a framework for market stability that relies in part on a continuation of such subsidies. • Continued protections for people with pre-existing medical conditions and sustained federal funding to offset the cost of care for the sickest patients. • More leeway for states to experiment with health insurance benefits, with a basic floor of federal standards. • Preserving ACA consumer safeguards including no lifetime caps on benefits, no higher premiums for women based on gender, and a requirement that insurers spend a minimum of 80 cents of every premium dollar on medical care. • Penalties such as waiting periods for people who fail to maintain their coverage. Republicans want to repeal the Obama-era tax penalties on uninsured people deemed able to afford coverage. • Significant federal funding to subsidize premiums and out-of-pocket costs. About 20 million Americans purchase individual health insurance policies, with more than half using the ACA’s markets, which offer income-based subsidies for premiums and out-of-pocket costs. The Trump administration has sent mixed signals, and the White House is now saying it needs more time to decide on the cost-sharing money. Without those subsidies, experts say, premiums could jump about 20 percent in 2018. Another round of sharp premium increases and insurer exits seems possible. The cost-sharing money is embroiled in a lawsuit originally filed by House Republicans. Democrats call the whole thing a cynical ploy. But President Donald Trump at times has suggested he’d stop, publicly musing that could force congressional Democrats to negotiate. The Blue Cross Blue Shield message may find a receptive home with Senate moderates in both parties, said industry analyst Sheryl Skolnick. Associated Press Health Writer Tom Murphy in Indianapolis contributed to this report.